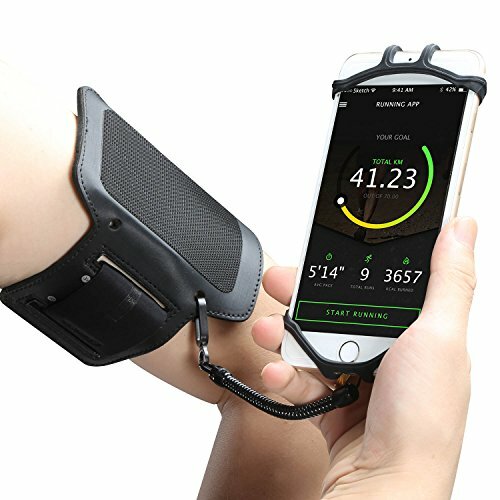 QUICK RELEASE & MORE CONVENIENT: Sportuli Running Armband features a Removable HOOK&LOOP phone case allow you release the phone from your arm quickly while Running Working Out Jogging Hiking Biking etc. SECURITY: Consists of premium Hook&Loop fastening tape and spring coil cable, phone can't be shaken off during strenuous exercise, enjoy the joy of running, the more dymamic the more exciting. Multi-slot fit almost any arm size up To 14.5".